Just a reminder but an important one. This Look Before You Leave Child Car Warning gives pause for thought before you enter the store. Did you leave anything behind? In busy modern life don’t get so distracted and rushed that you will regret it later. 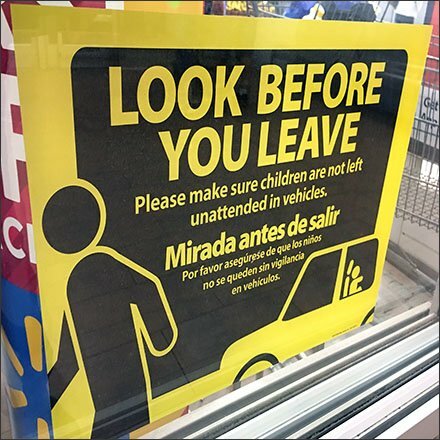 This Look Before You Leave Child Car Warning seen at Target.